The Delaware 87ers (nicknamed the Sevens) are an American professional basketball team of the NBA Development League. It is an affiliate of the Philadelphia 76ers in the National Basketball Association. The home games are played at the Bob Carpenter Center on the campus of University of Delaware in Newark, Delaware. The team was founded in 2007 as the Utah Flash and served as an affiliate to the Utah Jazz. In April 2013, the 76ers acquired the team and relocated it to Delaware. In 2004, Utah entrepreneur Brandt Andersen heard the NBA was expanding operations to include a development league. Eventually Andersen got a new team to start play in 2007, based in Orem, Utah, playing at the McKay Events Center. The Flash nickname was chosen by a name-the-team contest, in which over 21,000 votes were cast. The team was established with a close help from its NBA affiliate Utah Jazz, who indicated to the general manager job David Fredman - who was an assistant coach and director of scouting for the Jazz for 28 years, and also the assistant general manager for the Denver Nuggets - and as a coach Brad Jones, a regional scout who was the nephew of long time Jazz coach Jerry Sloan. Also as an NBA affiliate were the Boston Celtics. In the first season for the Flash on December 21, 2007 guard Morris Almond (who had been sent down to the D league by the Jazz) tied an NBA Development League record with 51 points in a 118–116 victory over the Austin Toros later in that season Almond broke the record with a 53-point performance in the 102–87 blowout win against the Bakersfield Jam, Almond also led the league in scoring averaging 25.6 points a game. In July 2008, Fredman was called back by the Jazz to work as a scout, and coach Jones ended up pulling double duty as general manager as well. In 2009, the Celtics changed affiliations to the new team Maine Red Claws, leading the Atlanta Hawks to join forces with the Flash. On December 8, 2009, the Flash hosted a sold out crowd that hoped Michael Jordan was going to appear to play in a charity exhibition at halftime against former Utah Jazz guard Bryon Russell. However, Jordan did not appear, and a Jordan lookalike was introduced in what turned out to be a hoax. Brad Jones retired as head coach of the Utah Flash on September 7, 2010 and Kevin Young was named as his replacement. Young had been the assistant coach for the Flash for the prior two years, as well as scout and director of basketball operations, and before joining the organization worked at the Utah Valley University team. The team suspended operations following the 2011 season, as Andersen was forced to sell his interest in the Flash. Despite high ticket sales, being second in NBADL attendance during the 2010-2011 season, drawing more than 100,000 fans and averaging 4,237 per game, the Flash had frequent financial struggles, as both the Jazz and the city's minor league baseball team Orem Owlz made it difficult to get sponsorship deals. On April 27, 2013, after two years of hiatus, the Philadelphia 76ers acquired the team, and renamed it the Delaware 87ers – inspired by the fact that Delaware was the first state to ratify the United States Constitution in 1787. The team plays its games at the University of Delaware campus. Former Ripken Baseball Inc. assistant vice president of sales/marketing Aaron Moszer was named team president. In September 2013, Brandon Williams was named the team's first general manager. On November 6, 2013, the Sixers hired Rod Baker to coach the team during their inaugural season in Delaware. After spending 50 games with the team, forward Thanasis Antetokounmpo was selected with the No. 51 pick in the 2014 NBA Draft by the New York Knicks - the first 87er to be drafted into the NBA. Over the summer, the 87ers introduced their mascot, Caesar, on August 22, 2014. 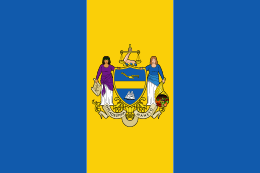 Caesar is a fox, which represents the state animal of Delaware, and is named after Caesar Rodney who served on the Continental Congress as a representative from Delaware during the American Revolution. Ahead of the 2014–15 season, Baker was called up by the Sixers to serve as a scout in the front office. Hired as his replacement was Kevin Young, who led the team to an improved 20-30 record, had the Sevens ranked No. 7 in the D-League in points per game. During the season, Sixers 2014 NBA Draft pick Jordan McRae joined the 87ers  for the team's final 13 games of the season. On April 10, 2015, the 87ers earned the Merit Award for Emerging Business of the Year, and also received the Voter’s Choice Award for Community Involvement at the Delaware Small Business Chamber's Blue Ribbon Awards Ceremony. All NBA D-League prospects — players whose rights are not owned by NBA teams — are free agents and are eligible to be called up to the NBA. - Point guard Kendall Marshall was signed to a multi-year contract by the Los Angeles Lakers on December 20, 2013 after playing in seven games with Delaware. - Shooting guard Vander Blue signed a 10-day contract with the Boston Celtics on January 22, 2014 after four games played for the 87ers. - Forward Drew Gordon was signed by the Philadelphia 76ers on November 10, 2014. Gordon returned to the 87ers on December 10, 2014 after playing in nine games with the Sixers. - Guard Malcolm Lee signed with the Philadelphia 76ers on December 5, 2014, but re-joined the Sevens less than 10 days later on December 13, 2015. - Forward Ronald Roberts was called up by the Philadelphia 76ers on December 12, 2014, but was re-acquired by Delaware on December 17, 2014. - Guard Sean Kilpatrick received a 10-day contract with the Minnesota Timberwolves on March 19, 2015. Kilpatrick returned to the 87ers on March 29, 2015 for their final two games of the season. - Guard Jordan McRae received a 10-day contract with the Phoenix Suns on January 29, 2016, only three days after setting a record-high 61 points for the 87ers. He'd later sign a new deal on February 23, 2016 to become a part of a future championship squad for the 2016 NBA Finals winning Cleveland Cavaliers. 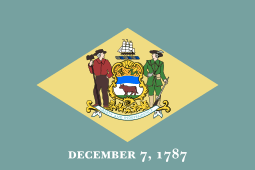 ↑ "Delaware 87ers Reproduction Guideline Sheet". NBA Media Central. Retrieved September 14, 2016. ↑ Hall, Spencer (September 18, 2009). "Brandt Andersen Unplugged". Salt City Hoops. 1 2 "Cover story on Brandt Andersen". Daily Herald. July 18, 2007. ↑ Carpenter, Les (November 2, 2008). "A Minor League Owner With Major League Aspirations". The Washington Post. ↑ Siler, Ross (August 26, 2007). "Orem franchise built on NBA ties". The Salt Lake Tribune. Retrieved February 5, 2016. ↑ "Get To Know The Utah Flash". National Basketball Association. April 17, 2007. Archived from the original on June 29, 2007. ↑ Buckley, Tim (July 4, 2008). "Utah Jazz notes: Smith, Fredman given new responsibilities with ballclub". Deseret News. Retrieved February 5, 2016. ↑ Warner, Neil K. (January 25, 2009). "New Flash point guard working to take the next big step, playing in the NBA". Daily Herald. Retrieved February 5, 2016. ↑ "NBA Development League: NBA D-League Announces Affiliates For 2009-10 Season". National Basketball Association. June 29, 2009. Retrieved February 5, 2016. ↑ "Utah NBDL team to refund tickets from Jordan hoax". USA Today. Associated Press. August 12, 2009. Retrieved March 15, 2010. ↑ "Utah Flash bring back familiar faces for upcoming season". Daily Herald. May 24, 2007. Retrieved March 15, 2010. ↑ Smith, Brian T. (June 19, 2011). "Utah Flash for sale; won't play this season". The Salt Lake Tribune. Retrieved February 5, 2016. ↑ Kotloff, Brian (April 27, 2013). "Sixers change name of newly acquired D-League affiliate to Delaware 87ers". Sports Illustrated. ↑ "Sixers acquire D-League team in Delaware". National Basketball Association. Associated Press. April 27, 2013. ↑ "Philadelphia 76ers Acquire NBA D-League Franchise; Relocate It to Delaware and Name It The Delaware 87ers". National Basketball Association. April 27, 2013. Retrieved April 27, 2013. ↑ Rappaport, Max (September 19, 2013). "Fastbreak: Brandon D. Williams Hired As Sevens GM". Philadelphia 76ers. ↑ "Sixers Hire Rod Baker to Coach Delaware 87ers". The News Journal. November 6, 2013. ↑ "2013-14 Delaware 87ers schedule". RealGM. ↑ "2013-14 GATORADE Call-Ups". NBA Development League. ↑ "Lakers Sign Kendall Marshall". Los Angeles Lakers. December 20, 2013. ↑ "Boston Celtics Sign Delaware's Vander Blue to 10-Day Contract". NBA Development League. January 22, 2014. ↑ Steinberg, Russell (June 26, 2014). "2014 NBA Draft Results: Knicks select Thanasis Antetokounmpo with 51st pick". SB Nation. ↑ "Meet our mascot: Caesar". Delaware 87ers. ↑ "Sixers Front Office Calls Up Sevens Head Coach Rod Baker". Philadelphia 76ers. October 13, 2014. ↑ "87ers Annouce [sic] Hiring of Head Development Coach Kevin Young". Delaware 87ers. October 16, 2014. ↑ "Delaware 87ers Seasons". NBA Development League. ↑ "87ers acquire Jordan McRae". Delaware 87ers. March 5, 2015. ↑ "87ers take home Delaware Small Business Chamber awards". Delaware 87ers. April 10, 2015. ↑ "2015-16 GATORADE Call-Ups". NBA Development League. Retrieved February 6, 2016. ↑ "Lakers call up Kendall Marshall from Delaware 87ers". Delaware 87ers. December 21, 2013. ↑ "Boston Celtics call up Vander Blue of Delaware 87ers". Delaware 87ers. January 22, 2014. ↑ "Sixers call up Drew Gordon from Delaware 87ers". Philadelphia 76ers. November 10, 2014. ↑ "Delaware 87ers re-acquire Drew Gordon". Delaware 87ers. December 10, 2014. ↑ "Sixers call up Malcolm Lee from Delaware 87ers". Philadelphia 76ers. December 5, 2014. ↑ "Sixers call up Ronald Roberts from Delaware 87ers". Philadelphia 76ers. December 12, 2014. ↑ "87ers re-acquire Roberts, Jr.". Delaware 87ers. December 17, 2014. ↑ "Wolves Sign Guard Sean Kilpatrick to 10-Day Contract". Minnesota Timberwolves. March 19, 2015.